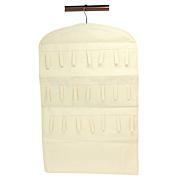 Household Essentials Canvas Blanket Bag encases your special blankets to protect them from dust and pests. 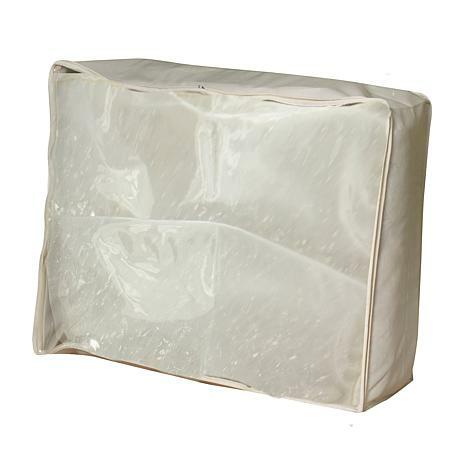 The smooth, durable canvas protects blankets and linens by creating a strong barrier to dust and pests. 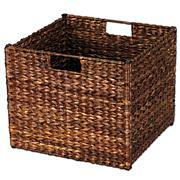 But it is also breathable, so clothing and linens stay fresher during storage. 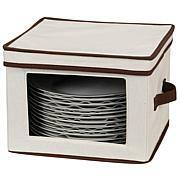 The soft-sided storage bag fits into compact spaces, so you can make the most of your storage opportunities. 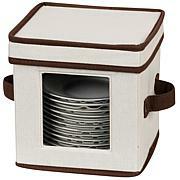 These bags are perfect for stacking and storing blankets individually or in groups. And with a clear plastic top, you know exactly with blanket you have without have to unwrap all of them. Shield and cocoon your blankets, just as they do you, in these protective canvas storage bags, and wrap yourself and your loved ones in warm comfort anytime of year. This blanket bag measures 10 inches high, 26 inches wide, and 21 inches deep.